A study at Washington State University recently published in the journal Fashion and Textiles found that exercising is increasingly a challenge when large women can’t find active wear in their sizes and that many instead resort to menswear and/or cease to be active. Led by Deborah Christel, assistant professor in the WSU Department of Apparel, Merchandising, Design, and Textiles, the study interviewed dozens of plus-size women about what they wear for exercise, how they perceive clothing availability and how satisfied or dissatisfied they are with exercise clothes. The results revealed they often wear men’s clothing when exercising because of the lack of options in their sizes in the women’s department. Most popular athletic brands rarely offer sizes larger than XL for women. For example, one top exercise apparel company was found to offer eight items in its women’s plus-size line compared to more than 2,000 items in its women’s smaller sizes. In addition, the same company offered more than 200 items up to size 4XL for men. “There’s a stereotype in our culture that if a woman is plus-size, it must mean that she is inactive,” said O’Donnell. On the contrary, “the women we interviewed wanted to feel feminine and be active at the same time,” Christel said. “Sadly, the fashion industry isn’t providing clothing that satisfies the consumer. The product, price, promotion, and placement aren’t right. 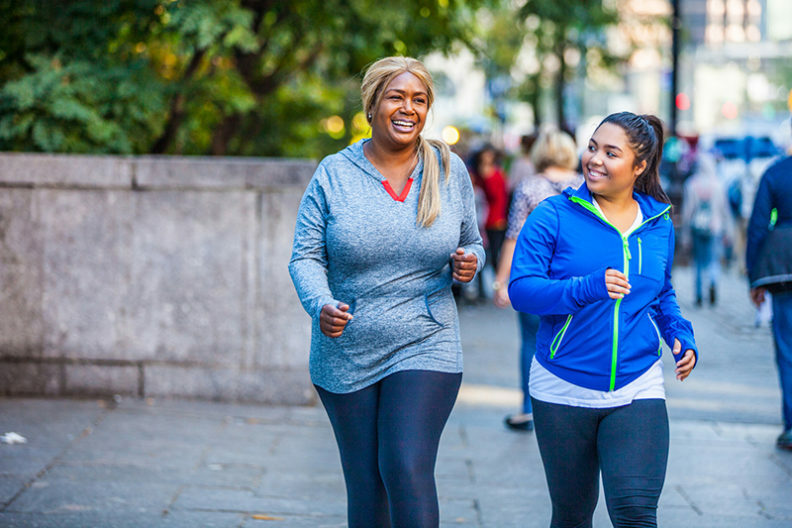 While the findings focused on the challenges plus-size women face with exercise clothing, there are broader implications for society regarding perceptions of size. Numerous studies have determined that overweight or obese women are responded to more negatively than thin people. “Clothing is a powerful way to express one’s identity,” Christel said. “Women we spoke with felt personally responsible for not having exercise clothing available in their size. Christel’s research focuses on plus-size design, functional design, post-bariatric clothing issues and weight bias in the fashion industry. She is actively working to improve aspects of fit, design and the shopping experience for plus-size women. O’Donnell, who works with the WSU Murrow Center for Media and Health Promotion, teamed with Christel and Bradley because research on this issue has both fashion and health communication implications. “One of our goals at the center is to find ways to effectively communicate and promote an active lifestyle,” O’Donnell said.